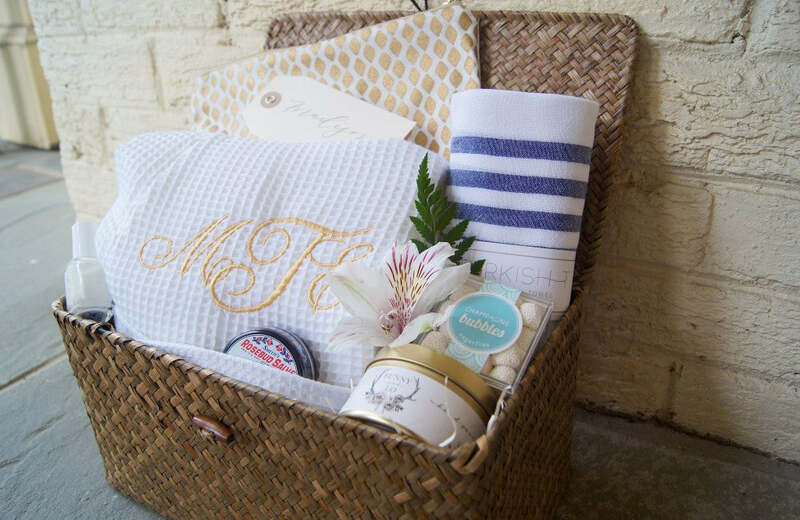 Not long after we launched our brand new line of pre-designed bridal party gifts, we began receiving requests for custom bridesmaid gifts. Needless to say, I was definitely up for the design challenge. Custom bridesmaids gifts?! I'm in heaven! The design I want to highlight today is for a super sweet Midwest bride named Erin who was excited to thank her girls for being by her side throughout her entire wedding planning process and leading up to the big day. Erin gave me some information about her color palette and wedding style and I got to work on the gift design right away. Using a foundation of navy, white and gold, I chose a soft palette, keeping things as feminine as possible. 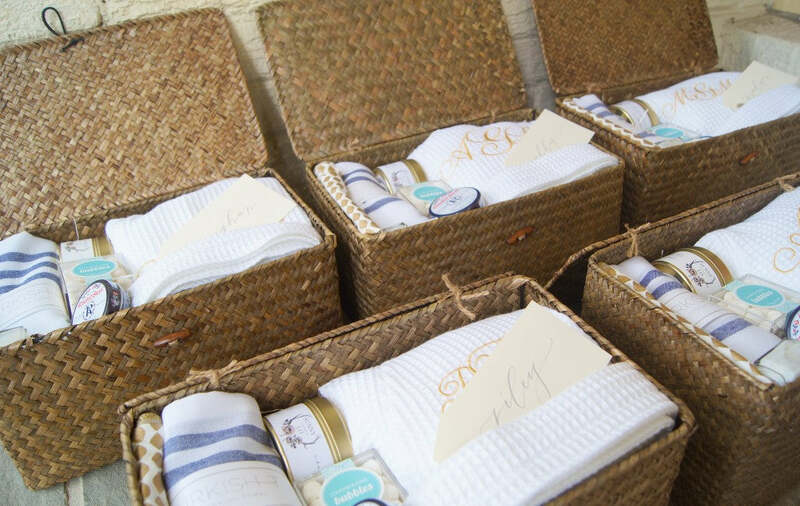 Spa robes with each bridesmaid's initials monogrammed in gold, along with a soy candle helped to create the light, airy aesthetic I was going for. 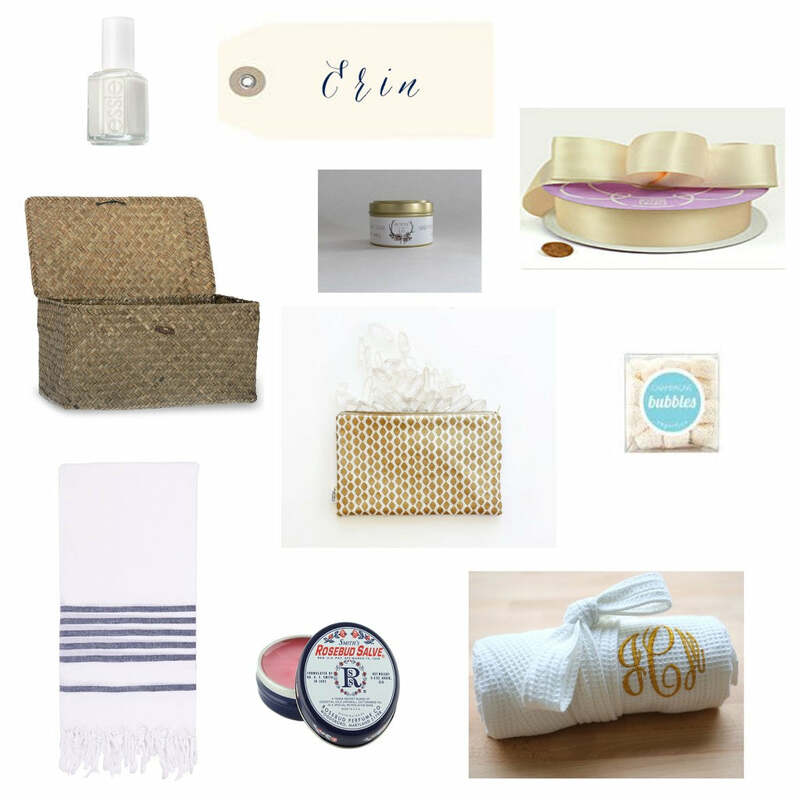 I also included luxe Turkish-T towels with muted navy stripes along with Rosebud Salve, Sugarfina candy and white Essie nail polish. 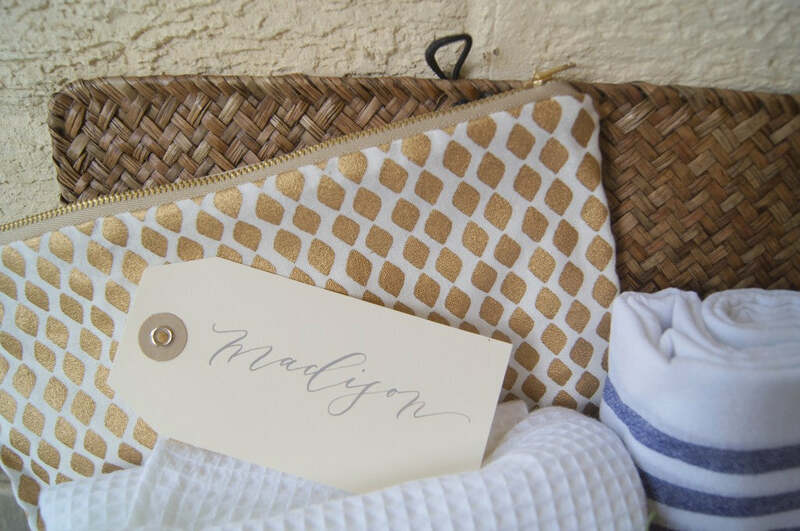 For an additional pop of gold, I opted for handcrafted zipper pouches in a modern gold and white print. It pained me to send these off, by the way. I secretly wanted one for myself! Each bridesmaid's name was hand-lettered in modern calligraphy by Poppy & Scooter and tied on the outside with coordinating satin ribbon. So pretty and personal. We loved the thought and effort Erin put into thanking those who are important to her even in the midst of her own wedding planning. Congratulations to Erin and hoping her September wedding was all she could've ever hoped for!